Unique spectacle for the public at large. 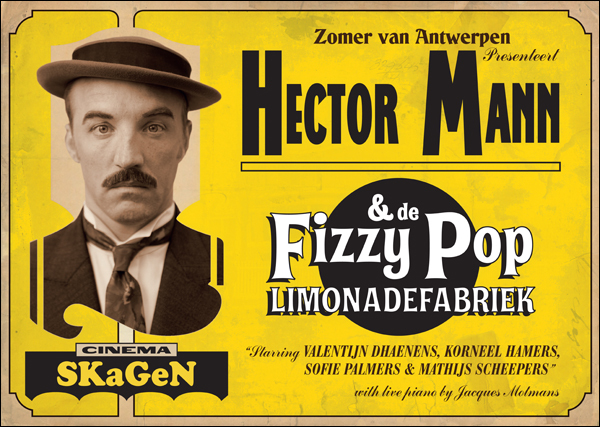 In the summer of 2012 SKaGeN played their latest ‘on location performance’ Hector Mann and the Fizzy Pop Lemonade Factory in a public park in the city of Antwerp in collaboration with the site specific theatre festival ‘Zomer Van Antwerpen’. SKaGeN brings their very first live acted silent movie. The audience can see the stage set with actors running around chaotically with their props, AND the film version simultaneously edited and accompanied by live piano.